Going green does involve a fair number of methods, and one of them would be to use different modes of transport. For instance, cycling around is definitely one way to reduce your carbon footprint, not to mention it also offers you a healthier way of getting from one point to another. Of course, it will not be as fast as a car, and neither will it protect you from the rain or snow, but within a small city or town center, a bicycle, coupled with a good public transport system, works great. This $3,800 Self Charging Electric Bike will be able to be recharged as long as the riders keep on pedaling. How is this made possible, Rather than rotating the rear wheel, pedaling this bike will then turn the built-in alternator which converts mechanical energy into electrical energy, resulting in supplemental power to the rechargeable lithium-ion battery. The 2.5” color LCD display on the handlebars will enable riders to easily select pedal resistance, acceleration, and speeds up to 16MPH. Not only that, this bike will sport a chainless hybrid drive system with an automatic dual winding motor, an aluminum frame with a carbon-fiber single fork, 20″-diameter tires, and dual hand brakes. Within the frame, the electronic control unit’s sensors help monitor the bike’s speed and slope of the terrain, where it will then shifts gears to enable smooth rides up steep inclines or down declines automatically. 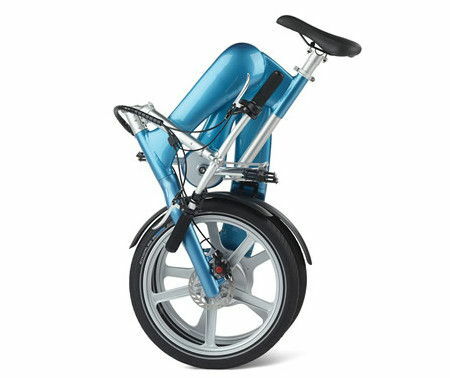 The battery itself is able to bring the bike and rider up to 18-mile rides on a full charge even if you do not pedal, or up to 28-mile rides when one pedals.